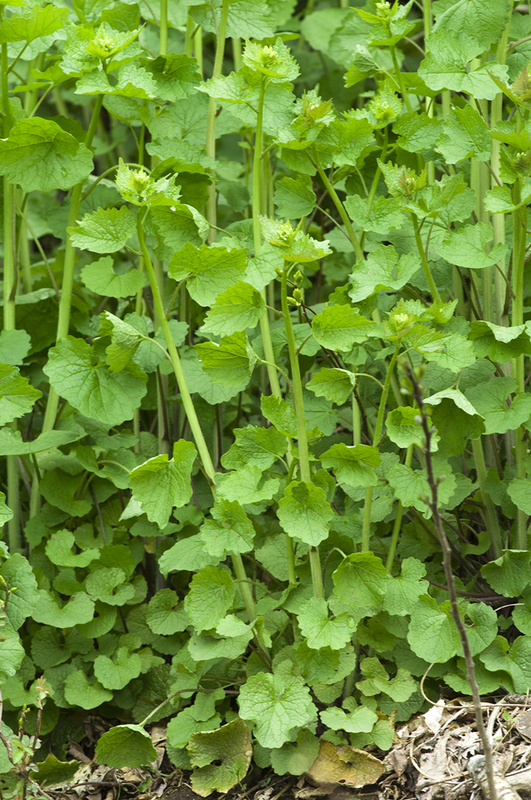 Here is a great use for the ramps pesto we make using the green leaves of our native edible wild leeks (Allium tricoccum). 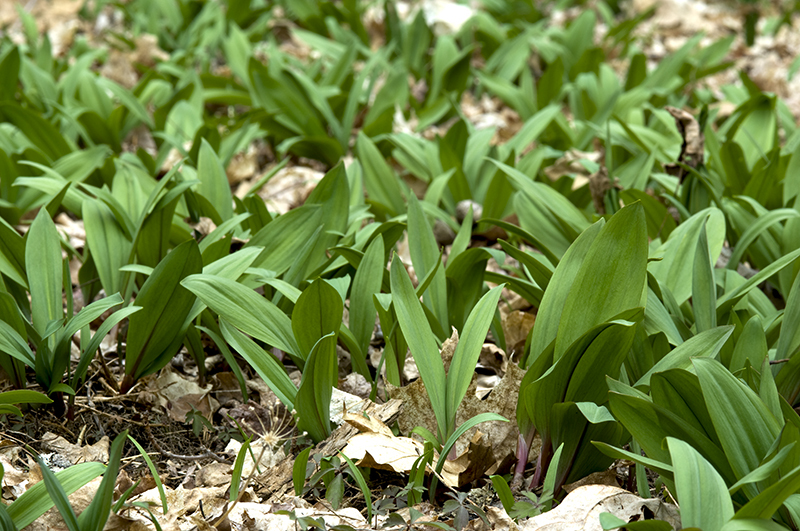 Another spring ephemeral, the leaves of the ramps start to poke up from the warming earth in April. 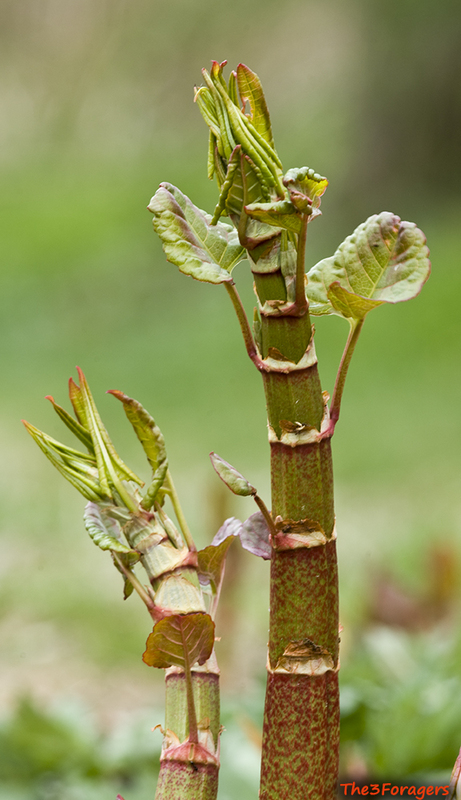 They can be gathered for about a month and a half before they send up their flower stalk and the leaves begin to yellow and die back until next spring. We rarely dig the entire ramp, as this kills the plant and we don't use the bulb very often. 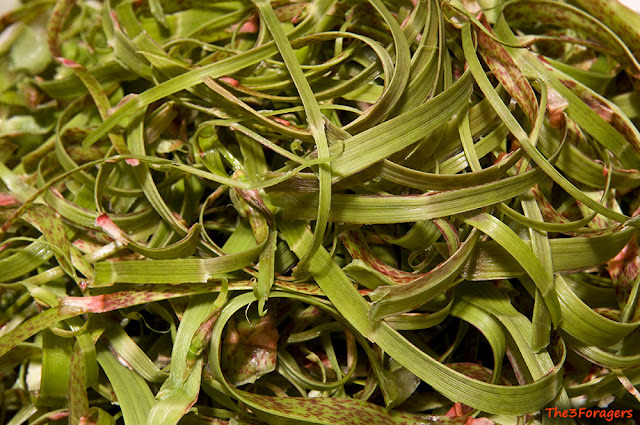 The leaves are full of the funky-garlicky goodness we like, and we harvest the leaves by cutting one leaf from each cluster of 2 or 3 that each plant produces from its bulb. By taking only a few leaves from any area, we ensure the health of the ramps patch. They reproduce very slowly by splitting their underground bulbs, and digging them up as many short-sighted commercial harvesters do will destroy future sources of this delicious wild edible. Most of the recipes we come up with use the leaves, and the pesto recipe freezes well to use all year. Find this recipe in our book. 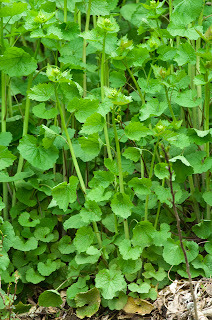 Garlic mustard (Alliaria petiolata) is another super-invasive plant in our area along the east coast. 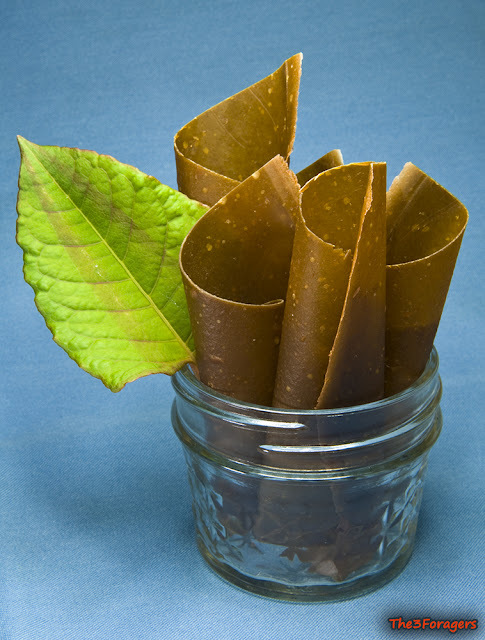 The whole plant is edible, the leaves, flower stalks, flowers, roots, and seeds that are produced in massive quantities. 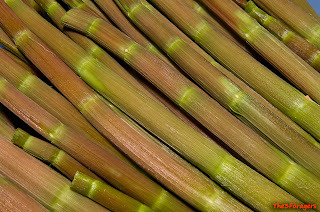 Eating this invader can be done for a good portion of the year, and the blanched leaves store well in the freezer. 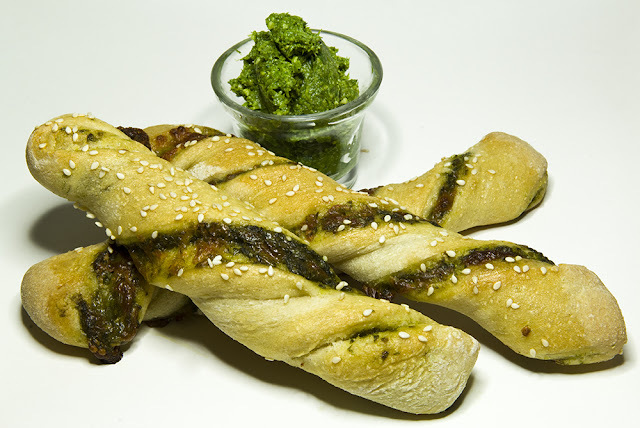 The flavor overall is garlicky, with a bit of a mustard bite that some people might find bitter. 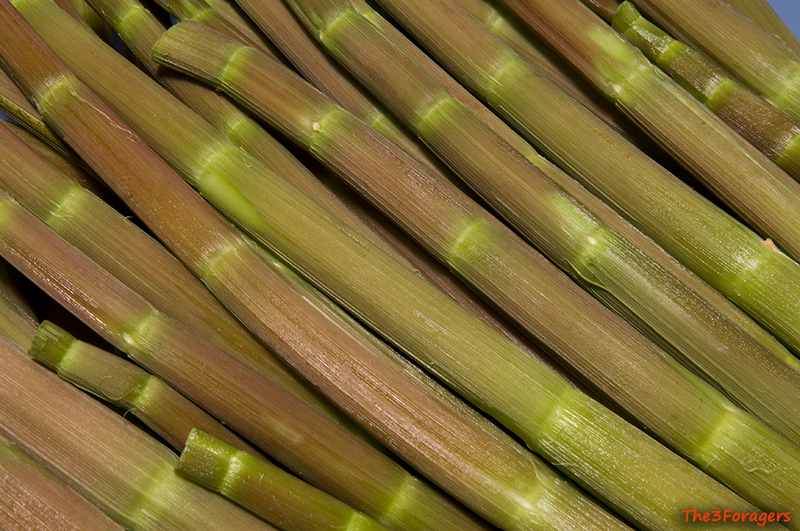 We like the second year's triangular leaves better than the oval, scalloped leaves of the first year's basal rosette, they tend to be more tender and less harsh. 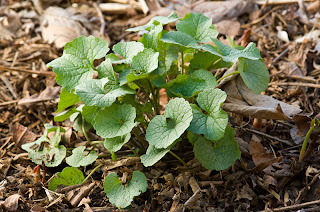 We like to pair the pungency of this wild edible with earthy flavors like mushrooms, plus rich textures like cheese in recipes, while still adding a good quantity of garlic mustard. This recipe is mostly about making a filling. 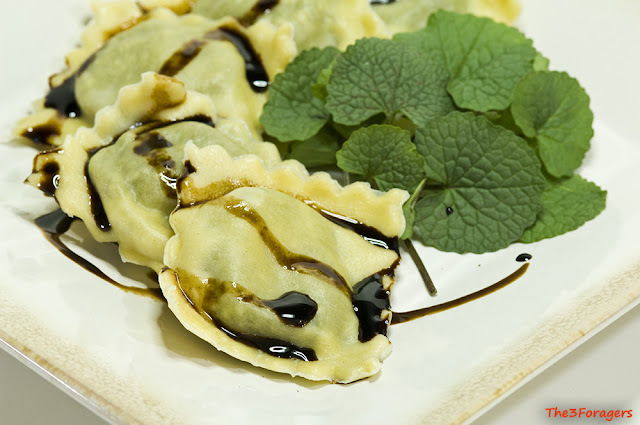 You can fill wontons or pasta dough for ravioli, or even use it to stuff some puff pastry triangles or bread. We used some wild hen-of-the-woods maitake mushrooms, because that is what we had in the freezer, but grocery store mushrooms will work fine. 1. Sautee chopped ramps or onion in the olive oil over medium heat until transluscent, 4 minutes. Add garlic and chopped mushrooms, cook until the mushrooms release their juices and it evaporates, about 5 more minutes. 2. 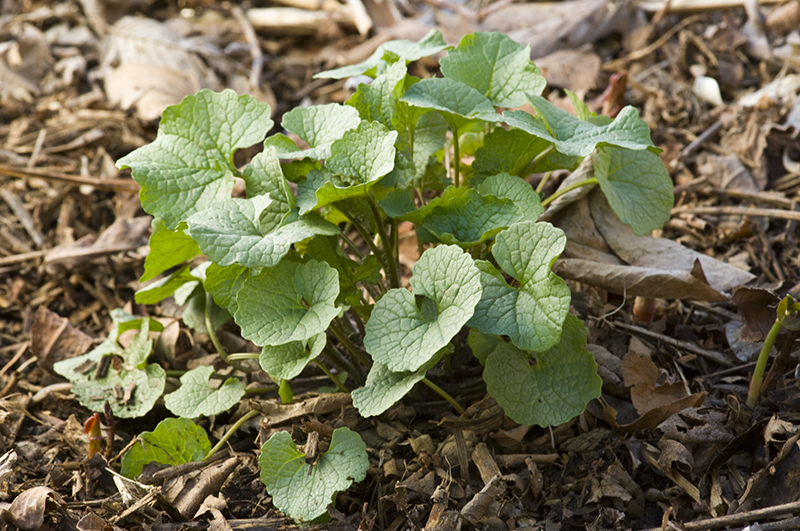 Toss in 2 cups of the garlic mustard leaves and cover the pan, cook 2 more minutes to wilt the leaves. Remove from the heat and allow the mixture to cool. 3. Put the cooked onion, mushroom and garlic mustard mixture into a food processor, and pulse a few times to mix. 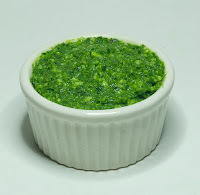 Add the remaining 1/2 cup of raw garlic mustard leaves, the farmer's cheese, sour cream and salt, and continue to pulse until the mixture is finely chopped. Taste and adjust salt. 4. Use the filling to fill ravioli, wonton wrappers, or as a spread.